Circular coin, engraved with simple kufic characters in the Aghlabid style. The text is contained within two circles, the inner plain and the outer cross-hatched. 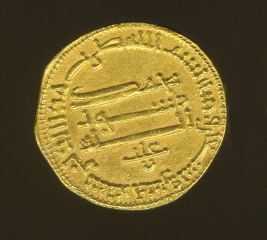 This Aghlabid dinar, although retaining the characteristics of Abbasid coinage, reflects the autonomy of the new dynasty by including the name of the reigning prince and the word 'ghalaba', (emblem of the emirate), which remains engraved on Aghlabid coins until the advent of the Fatimids. The fine coins minted by the Aghlabids were widely used in Mediterranean commerce. The coins were mostly engraved by hammering, although chasing was used for motifs requiring great finesse. While retaining the characteristics of Abbasid coins, this Aghlabid dinar is noteworthy for the emblem of the emirate and the name of the reigning prince. The coin is circular with a kufic text in relief framed by a grooved circle. The year (192 / 808) is engraved on the coin. 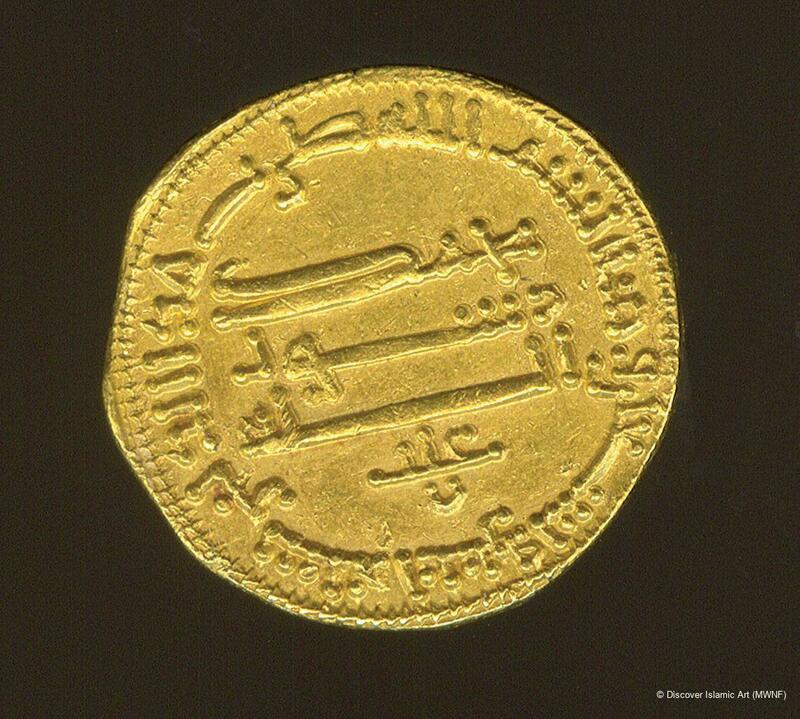 When the Museum of Islamic Art at Raqqada was opened this coin, among others, was chosen to create a coin room. The word 'dinar', the year minted and the word 'ghalaba' (the emblem of the emirate) are engraved on the coin. This dinar was doubtless minted in the money workshops of Kairouan.